An extremely fun and well-rounded 27.5-plus hardtail. The Specialized Fuse Expert 6Fattie was our 2017 Editors Choice for its balanced performance and impressive build specifications. Specialized no longer offers the $2000 Fuse Expert. The 2018 Specialized Fuse Comp sells for $1600 and still shreds any hardtail-worthy trail you put in front of it. If you are looking for a hardtail that is at home on fast and somewhat technical singletrack, this is the best option The 2018 Fuse Comp is our new Editor's Choice. We had doubts that the 2018 Fuse Comp could match the performance of the 2017 Fuse Expert. One ride and those doubts went out the window. We rode the two bikes back to back and the performance was comparable. At $1600, the price of admission for ripping Mother Nature's amusement park aboard the Editor's Choice hardtail just went down substantially. The Fuse is unchanged for the 2019 model year aside from a new paint job and some component tweaks. We don't expect significant performance changes. October 2018. Three professional testers spent four weeks riding the new, 2018 Specialized Fuse Comp and Marin Pine Mountain 2 against our award-winning 2017 Specialized Fuse Expert 6Fattie. We rode these bikes as hard as we could to see if these two 2018 bikes can unseat the 2017 Fuse as the Editors Choice. The Fuse is as fun as a barrel of monkeys. 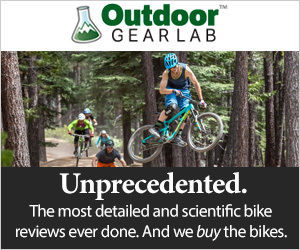 The segmentation of mountain bikes in the past few years has become convoluted. Lines are being blurred and the distinction between a cross-country, trail, or enduro bike can be vague. The Specialized Fuse has been built with one simple purpose, to allow riders have more fun. The Fuse Comp once again impressed our testers with its ability to conquer climbs with deceptive ease and turn downhills into a constant hunt for airtime. The comfortable cockpit, balanced geometry, and trail-hugging 3.0-inch tires give this bike a confidence inspiring ride that is tough to beat among hardtails. The Fuse's greatest asset is that there are no outstanding weaknesses in the bike's performance. It climbs well seated or standing and it descends well on most trails and at any speed. Side-hits and playful antics are strongly encouraged. The Specialized Fuse has a geometry like Switzerland's political policies, middle of the road, not favoring any extremes. Bikes that are particularly long or slack tend to be a chore to maneuver at slow speeds or particularly tight trails. Upright cross-country style bikes become unstable at high speeds. The Fuse seems to have done well to nestle itself in the middle where the bike still feels quick and nimble but is able to maintain a stable planted feel at speed. This bike feels balanced in the air, urging the rider to hunt for any shenanigans along the trails. The sharp handling makes riding feel natural. Other test bikes require more exaggerated movements to initiate the bike into turns. When Specialized stopped offering the Expert build, there was concern that the lower level components could be a detriment to performance. The Manitou Machete fork and the Tektro brakes were particular areas of concern. After riding the 2018 Fuse Comp the testers actually preferred the overall feel of the Manitou fork over the Rockshox Reba. The Tektro brakes have a different feel than the SRAM brakes of last year's bike, but performance proved to be roughly equal. The 3.0-inch Specialized tires provide enough cushion to take some of the harshnesses out of the trail. That extra width also makes the tires feel a little vague while cornering as to exactly where the edge of the tire lives. This sensation is much less noticeable on standard width tires and slightly less noticeable with narrower 2.8-inch tires. The Fuse boasts excellent traction thanks to its 3-inch tires. The Fuse Comp separates itself from our other test bikes on the descent. It offers a stable feel, loads of traction, and predictable handling. It didn't matter what type of terrain, the Fuse felt solid. Rock Gardens, loose soil, fast and flowy, it didn't matter, The Fuse felt right at home. The reliable dropper post, supple fork, and forgiving 27.5+ tires all helped this hardtail ride better than its price tag would suggest. Traditionally, hardtails were designed and built for cross-country riding. Recently we have seen many brands designing hardtails with geometry more suitable for trail riding. Manufacturers made an effort to fit the needs of riders looking for an affordable bike they can ride anywhere. The relatively long 1163mm wheelbase combined with a 67.6-degree head angle are what make the Fuse Comp feel so stable and confident at high speeds or on steep singletrack. The 447mm reach gives the rider enough room to move around on the bike without feeling so long that you feel stretched out. This bike is capable of feeding it through rock gardens with a healthy dose of speed. The Manitou Machete fork was a pleasant surprise. Components play a major roll in descending abilities. The Fuse Comp starts off on the right foot with a Tranz-X dropper post. The Manitou Machete fork has a soft, supple, feel that felt better on small bumps and chatter than the Rockshox Reba from our 2017 Fuse Expert. The deep stroke support on the Manitou was only okay. The Tektro brakes provided comparable braking power to the Shimano and Avid brakes on other test bikes. The 3.0-inch tires provide great traction but we have found that 2.8-inch tires offer sharper handling and don't bounce as much. It is not enough of a pitfall that we would suggest swapping tires right from the get-go, but would suggest the change once you have worn out the stock tires. Climbing abilities are rock-solid aboard the Fuse. Climbing on the Fuse Comp is deceptively fast and easy. Our testers didn't feel particularly fast on the climbs but nonetheless, they were consistently quick. The relaxed geometry and calm, smooth feel of the bike on a variety of climbs make climbing feel more comfortable than speedy. Powering up steep technical climbs was no problem for the Fuse. Whether seated or cranking out of the saddle the 3.0-inch tires provided tons of traction and resisted spinning out. The Fuse's geometry is very similar to many of the newest full suspension trail bikes on the market. It has a 73-degree seat tube, which puts the rider's weight more or less on top of the bottom bracket. The bike still has precise and reliable handling on the climbs thanks to the 67.6-degree head angle. The Fuse Comp shines on rocky technical climbs. Even when our testers made questionable line choices, the Fuse crawled right over any technical feature. The front wheel didn't wander even on steeper climbs or through corners. Negotiating tight uphill switchbacks is easy and not this bike isn't cumbersome. 27.5+ tires are a huge asset for all of these hardtails when climbing. The 3.0-inch Specialized tires provide enough squish to help keep the tire in contact with the ground and provide traction on any trail surface. The traction is most noticeable on stairs, or rocky ledges with some loose dirt or sand atop. Normal-width tires want to spin out on loose dirt and make it difficult to push over those ledgy climbs. This spin-out is more rare on a plus-sized tire. The 3.0-inch rubber does have more drag than the 2.8-inch tires spec'd on the Marin Pine Mountain 1, but they do the job. The Fuse Comp features a 28 tooth chainring and 1x11 NX drivetrain. On long, steep, unforgiving climbs riders will appreciate the easier gearing that a 28-tooth chainring provides over a bike with a 30-tooth ring. The Fuse Comp features an aluminum frame. The front triangle offers internal cable routing for the dropper post, rear derailleur, and rear brake. This feature makes a very clean look on the bike and may save some riders from smashing the cable housing during a crash. The downside of internal cable routing is that replacing cable housing is far more difficult. The $1600 Fuse Comp is the highest build level available with an Aluminum frame. The Machete has 35mm stanchions. It was soft off the top but deep-stroke support leaves something to be desired. The Fuse Comp comes with a Manitou Machete 29/27+ fork with 120mm of travel. The Manitou fork features an aluminum crown and legs to reduce weight and offers adjustable rebound and compression lockout. This fork felt smooth, supple, and excelled at soaking up the chatter and small bumps that can be difficult on the arms. The Machete couldn't match the deep-stroke support of the Rockshox Reba on our 2017 Fuse Expert. Overall, our testers found the Machete to be a superior all-around performer compared to the Reba. The Fuse Comp rolls on Specialized Stout Trail SL rims and Specialized hubs paired with 27.5 x 3.0-inch Specialized Purgatory and Ground Control tires. The Stout rims offer a 38 mm internal width and the Specialized Purgatory and Ground Control rubber provide a large contact patch. There is a substantial amount of debate as to whether 2.8-inch or 3.0-inch tires are better. We don't have any definitive answers, but the 3.0-inch tires feel pretty good underneath this hardtail. A SRAM NX 1x11 drivetrain powers this hardtail. The Fuse Comp build features a SRAM NX 1x11 drivetrain with a 28:42t climbing gear. The switch from a GX to NX drivetrain was another one of the major differences between the 2017 Fuse Expert and the 2018 Fuse Comp. Regardless, we experienced smooth shifting and no problems from the drivetrain throughout the duration of our test. For riders who log a lot of miles on the road, live in flatter locations, or just want to be able to keep pedaling at higher speeds switching to a 30 or 32-tooth chainring is a fairly cheap fix. A clean cockpit thanks to the 1x drivetrain. Stopping power is relegated to Tektro HD735 Hydraulic brakes. This particular model offers a 4 piston caliper on the front wheel where more power is important and useful for stopping more quickly and a 2 piston caliper in the rear. This design more common in some higher end brake offerings. When riding the 2017 Fuse Expert and 2018 Fuse Comp back to back our testers found the Tektros to have a slightly different feel to the SRAM brakes but overall equivalent performance on the trail. The cockpit on the Fuse is composed of components from Specialized's in-house brands as you will see on bikes from any of the larger manufacturers. A Specialized stem, saddle, pedals, grips, and 750mm wide aluminum handlebars cover the rider contact points. Some of our taller testers prefer a wider bar than the 750mm offering that comes stock from Specialized. The Trans-X 120mm dropper post worked flawlessly throughout testing. One of the unexpected strong points on the build of the 2017 Fuse Expert was the Tranz-X dropper post, which now after more than a year and several hundred miles of riding has yet to show any problems or loss in performance. That same 120mm Tranz-X dropper post with infinite positions and internal cable routing can be found on this years Fuse Comp. Dropper posts have been around for several years now but it is hard to understate how much having a dropper post can change and improve the way a bike can be ridden in technical terrain. Seeing dropper posts being included on hardtail bikes at $1600 is pretty cool for the people out there just getting into the sport or building their skills. The Specialized Fuse 6Fattie/29 is offered in 6 different build options ranging from $950 all the way up to $6,500 for the S-Works version. Our 2018 test bike is the $1,600 Fuse Comp which is the highest of 3 build options that feature aluminum frames. This bike is tremendously versatile. If $1,600 is just too far out of your price range then the $1,250 Fuse Sport could be a good bet. By dropping down $350 you make some significant sacrifices. The Fuse Sport utilizes quick releases instead of thru-axles to connect the bike to the lesser Stout wheels. The Sport model relies on a DR Suntour XCR air fork to deliver 100mm of travel, 20mm less travel than provided on the Comp version. A SRAM 1x10 drivetrain with 11-42t Sunrace cassette does offer the same top and bottom end gear ratios but not at the same performance level as the NX 1x11. But perhaps the hardest loss to cope with is the Sport model does not come with a dropper post. The 3-inch tires take the edge of the inherently harsh feel of a hardtail. The Fuse is largely ready to rip out of the box. When you purchase the bike, spend the extra cash to have your tires set up tubeless. The difference in traction and the ability to run a lower pressure is critical. If your local trails include a lot of sand or looser terrain you might want to upgrade the tires to something more aggressive. If new tires are on the radar, don't be afraid to try out 2.8" options. The slightly narrower tire cuts weight and seems to reduce the bounciness associated with plus-sized tires. Well-rounded performance at a $1600 price point, what's not to love? If you're looking for a hardtail that can be your trail-smashing, hootin-and hollering, daily diver, the Specialized Fuse Comp is the bike for you. Our testers didn't find any major downsides on this bike, it easily ticked all the boxes. At $1600 the Fuse Comp delivers a great value and gets you out the door and ready to rip.